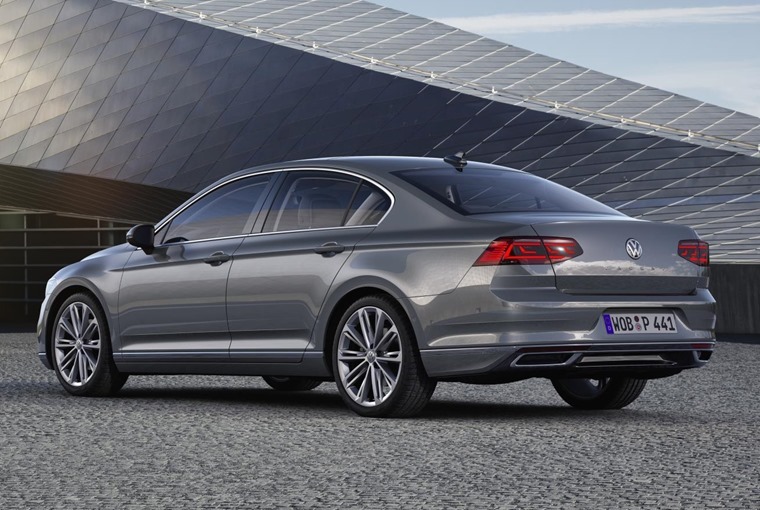 A facelifted Volkswagen Passat has been revealed ahead of its debut at the Geneva Motor Show. Dubbed the MK8.5, it gets styling tweaks, tech upgrades, more efficient engines and the GTE plug-in gets a range boost, too. It’ll be available to order from May. Changes are more dramatic in the tech department. Most significant is the introduction of semi-autonomous tech. Dubbed ‘Travel Assist’, it’s the first VW capable of partially automated driving at any speed. ‘I.Q. Drive’ recognises hazards such as roundabouts and junctions and automatically adjusts the car’s speed. 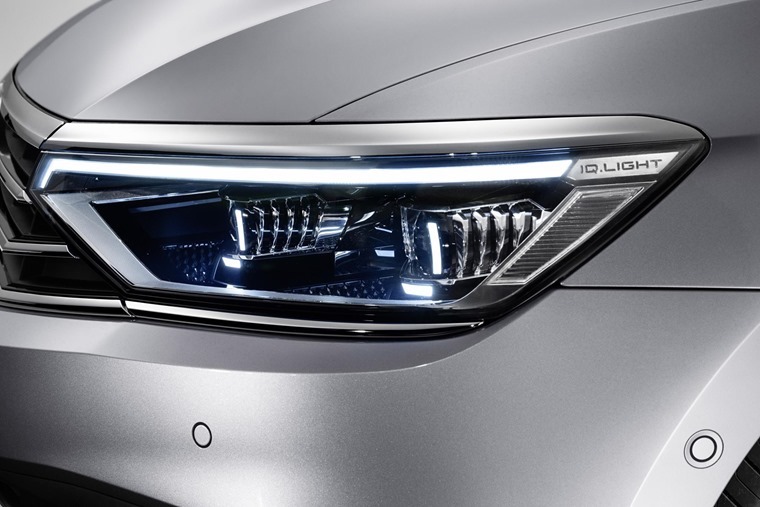 Automatic variants are able to operate in stop-start traffic without any driver input, while new safety systems include an improved lane-keep system and emergency steering that swerves the car to avoid collisions. VW’s 11.7in digital dashboard is now available as an option too, while new connectivity tech is Apple CarPlay-ready, features live traffic satnav and even a feature that allows you to pre-pay for parking and have parcels delivered to the car. The central touchscreen is available in 9.2in form and VW says its interface is now much more intuitive than previous models. Engine-wise, efficiency has been enhanced with the introduction of exhaust particulate filters. These help reduce emissions by up to 10g/km of CO2 depending on the engine in question. The diesel range consists of a 2.0-litre unit available in power outputs between 118bhp and 237bhp. Petrol unit is available in 148bhp, 237bhp and newly introduced 268bhp form. The biggest change is arguably the GTE plug-in hybrid model, with all-electric range now boosted to 35 miles thanks to a larger 13kW battery. It gets a new mode too, that’s designed to make urban driving as emission-free as possible. 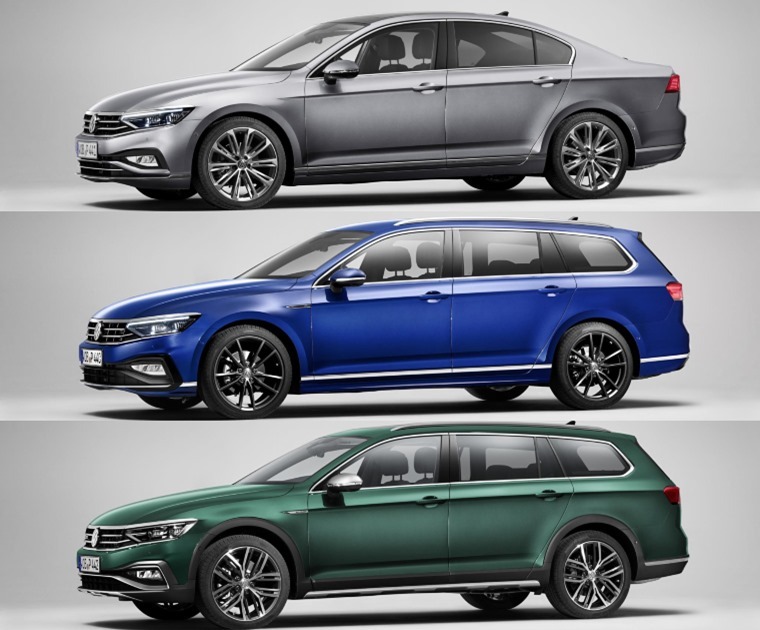 As before, the new Passat will be available in saloon and estate form, while the four-wheel drive Alltrack benefits from the refresh too. List prices are to be confirmed, but are expected to be largely in line with the outgoing model. 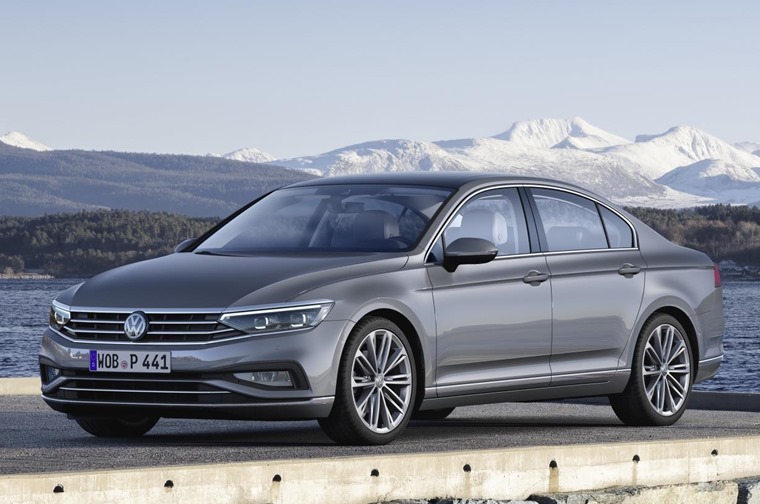 If you can’t wait until the new one arrives, you can check out thousands of deals on the current Passat, or alternatively, check out our video review of the VW Golf GTE.